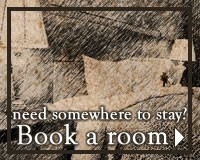 The Majors Retreat pub is in the middle of the beautiful Cotswold village of Tormarton in South Gloucestershire. The pub is about a mile off the M4 motorway, junction 18, Find Us, and offers plenty of car parking space. The Virginia Creeper covered freehold Cotswold stone pub was built in the 1700's and retains many original features. 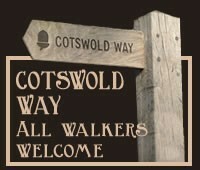 It is on the Cotswold Way walk and provides a warm welcome at lunchtime and evenings Opening Times for all hungry and thirsty walkers, families, locals and visitors to the area. The spacious main bar has bar stools at the bar and large tables providing plenty of seating and connects through to a large oak panelled dining room which can be used for private functions. During the winter a very large log fire is always burning to help warm up and dry out everyone. Including Mutley, the pub's old dog! When we get sunny weather, there is a large beer garden at the back of the pub with tables and benches to have your drinks and food. As well as being on the Cotswold Way walk, the Majors Retreat pub is surrounded by the best of what the Cotswolds offers Local Attractions, with Badminton House, Badminton Horse Trials, Dyrham Park & Horton Court National Trust, Castle Combe historic village, the city of Bath and Westonbirt Arboretum, all just down the road. Tormarton is a beautiful Cotswold village in South Gloucestershire, just north of the M4 motorway at Junction 18. The village enjoys a peaceful rural environment with a population of about 350 people. Tormarton is a very historic place, it roots lying in agriculture. There are still a number of active and successful farms operating within the village and a great deal of village life revolves around them. The village has a number of historic buildings remaining, including, at the centre of the village, St Mary Magdalene church which dates back to the 12th century and is well worth a visit. There is also a play ground in the middle of the village which is free to use. 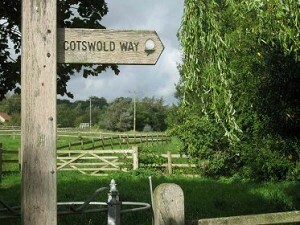 For those who like to walk, there are many local footpaths across lovely countryside and the Cotswold Way, designated as a National Trail in 1988, runs right through the village.